Pictures from Blazin Hope on-line. * Official Pics via Raman and Nilesh: http://is.gd/13I7P. SPECIAL NOTE: Below is an article we just published with some flicks on LA Indymedia. Feel free to drop comments there as well – LA readers are curious to know our impressions of BH2! Concert event raises over $8,000 for charities here and abroad. 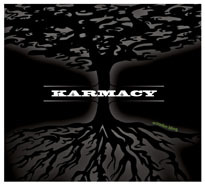 Hip hop group Karmacy released their full-length album, â€œWooden Bling,â€ at the Blazinâ€™ Hope II Album Release Party and Benefit Concert June 27. 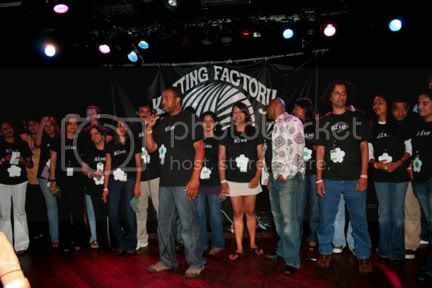 Hosted by Karmacy and Be The Cause, a service-oriented Southern California nonprofit, the second annual musical showcase with a charitable twist sold out over capacity at the Hollywood Knitting Factory and surpassed event organizersâ€™ expectations. And what hope is there to blaze without random acts of kindness? In one instance, BTC volunteers leied entering guests with paper flower necklaces with the words â€œgive backâ€ to remind them to pay it forwardâ€”like life, giving is a circle. At the end of the night, guests were handed cups of cold water to hydrate, and sober up, for the ride home. Not only was the event planned by unpaid members and event partners of BTC, it was staffed by over 65 volunteers working on different teams, attending to every last detail, including feeding and watering the performers and running out to Longs Drugs to buy more tapes for the video cameraman. The night featured a powerhouse line-up, including Raja Kumari, Jason Joseph, Nicco, The Himalayan Project, and DJ Blaze. The first three are featured on â€œWooden Bling,â€ the much-anticipated album and only the second dropped in Karmacyâ€™s 10-year career. While they are masterful MCs, the members of Karmacy have day jobs and family obligations that make them that much more relatable to fans. Itipini Community Project, a 6,000-inhabitant squatters’ camp in South Africa, is the other beneficiary. In addition to running a primary health care clinic and a feeding program for children, Itipini empowers children through a pre-school and an after-school program. Blazinâ€™ Hope II was about more than just charityâ€”it was also about solidarity. Peace4Kids volunteers, personnel and program participants visibly partook in the festivities and the planning process. P4Kâ€™s founder and executive director, Zaid Gayle, was Master-of-Ceremonies. Other P4K staff and volunteers assisted with promo and day-of duties. And a polished P4K hip hop dance troupeâ€”consisting of youths from Compton and Wattsâ€”pop locked their way into everyoneâ€™s heart. â€œIt’s not your typical fundraiser. The goal isn’t just to raise money but rather to infuse all those that participate with a sense of inspiration that hopefully they will carry forward beyond the walls of the actual event,â€ says Chugh. 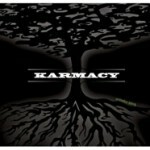 Karmacy is a hip hop trio, whose debut album, “The Movement,” was released in 2004. Addressing the idea of cross-cultural identities that are fluid yet universally relatable, their tracks might be in any of five languages, Spanish, Hindi, Punjabi, Gujarati or English. Although copies of “Wooden Bling” purchased on-line started shipping in May, Karmacy deliberately waited to publicly issue the album through the Blazin’ Hope medium. Like BTC, the group places much value on selfless giving. According to event chair Seema Patel, Blazinâ€™ Hope II raised over $10,000. After expenses, just over $8000 will go to the designated beneficiaries. This amount is almost double last year’s proceeds, which totaled $4741.00 (Rs 183, 000) and which went to Yuvsatta, an NGO providing educational opportunities to young people and women living in a slum in Chandigarh, India. The money helped build a vocational training center there. The huge success of Blazinâ€™ Hope II seems to broker new terms for an already unique concept marrying nightlife with service to others. Will the venue be bigger next time? Will the line-up be more dazzling? Will it eventually parlay into a weekend-long festival in some oasis? Like hope, the possibilities are unrestrained. BTC volunteers give great stock to Gandhijiâ€™s oft-uttered quote, â€œBe the change you wish to see in the world.â€ Upon going to plan Blazinâ€™ Hope I late last year, they questioned whether partying and service together could foster community and change. For updates and more information, check out Karmacy‘s and Be The Cause‘s Web sites. Hope you liked it! The Blazin’ Hope II photo album is ready for viewing, and take a moment to share your most favorite BH2 memory with us on the BTC blog!